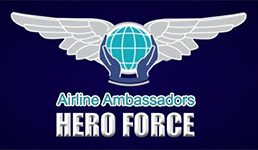 Washington, DC (June 1, 2015) – The Association of Flight Attendants-CWA (AFA) calls on the aviation industry to join forces to abolish human trafficking on our planes. The union is raising awareness and calling for mandatory training for all Flight Attendants to recognize and report human trafficking. The Association of Flight Attendants is the world’s largest Flight Attendant union. Focused 100 percent on Flight Attendant issues, AFA has been the leader in advancing the Flight Attendant profession for 67 years. Serving as the voice for Flight Attendants in the workplace, in the aviation industry, in the media and on Capitol Hill, AFA has transformed the Flight Attendant profession by raising wages, benefits and working conditions. Nearly 50,000 Flight Attendants come together to form AFA, part of the 700,000-member strong Communications Workers of America (CWA), AFL-CIO. Visit us at afacwa.org. The Association of Flight Attendants-CWA, AFL-CIO brings together the following unions and advocacy groups in support of Blue Lightning training for all Flight Attendants. Follow your airline's reporting policy and procedure, including using cockpit communications or other methods as part of the Blue Lightning Initiative. NOTE: Please identify your tip as a Blue Lightning Initiative (BLI) report. We successfully achieved mandatory Human Trafficking Awareness training when Congress passed the FAA Extension, Safety, and Security Act of 2016 and it became law on July 15, 2016. We will now work to implement the training at each airline to ensure we have 100,000 trained Eyes in the Skies to save lives as soon as possible. Copyright 2015-2016 The Association of Flight Attendants-CWA. All rights reserved. Contact us at info@hiddeninplanesight.org.